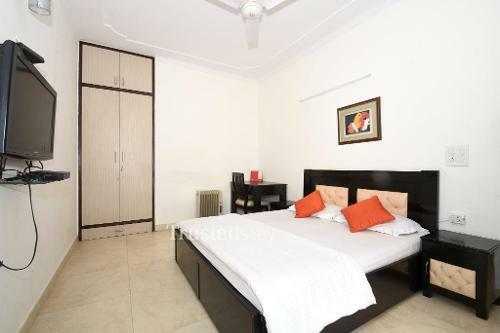 This service apartment in New Friends Colony is located in Near New Friends Colony Gurudwara, about 5 kms from Jangpura Industrial Area, about 600m from Meerabai Institute of Technology, about 650m from Ashram Metro station and about 20 kms from Indiragandhi International Airport. 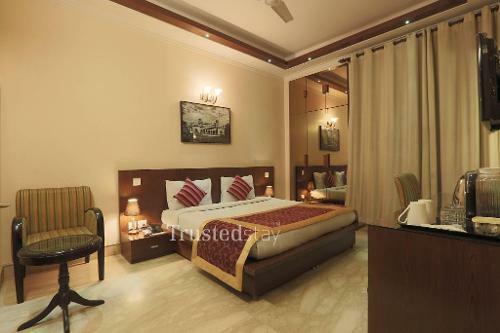 This service apartment is surrounded by some nice fine dine restaurants like, Chip Chop Food Corner is 1km, Lotus Pond Restaurant is 1.5 kms, Al-Bake is 2 kms and The Golden Dragon Bar And Restaurant is 3 kms away. 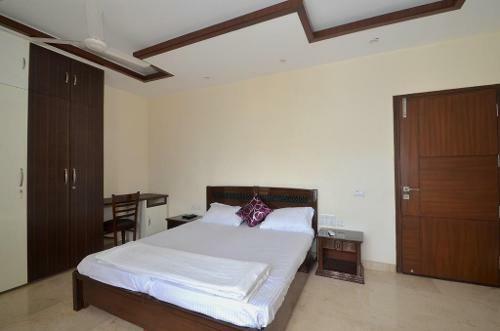 This service apartment is a standalone independent 3 floors building, offers 10 Executive and 10 Deluxe rooms, Deluxe rooms are bit larger and comes with a bath tub. 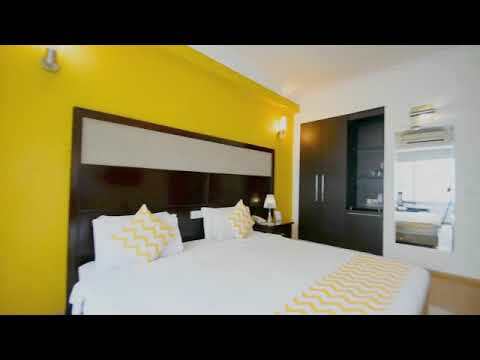 Ideal for corporates and families either for short or long stay. Smoking is allowed in few rooms only, and get togethers & parties are allowed without Liquor for upto 50 pax.